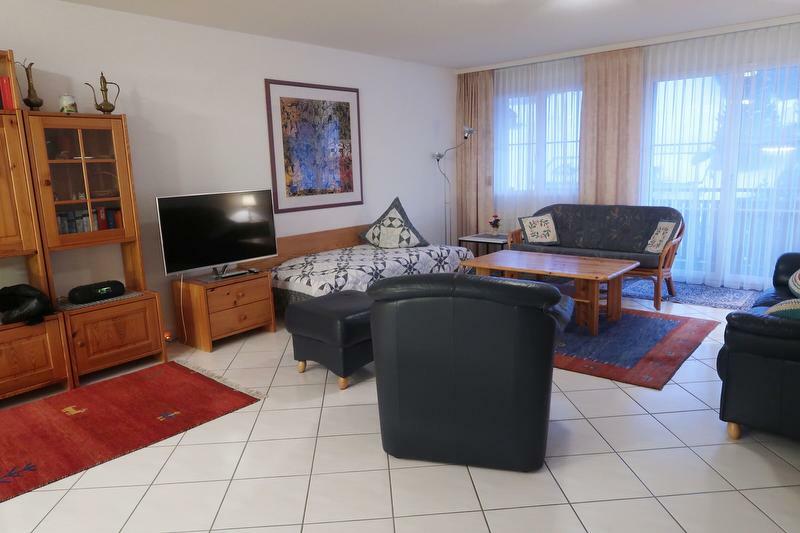 The apartment is furnished in a contemporary style and has a in white tiled floor in the living/dining area and a carpet floor in the sleeping area. WiFi is available free of charge, flat screen TV and a washing machine is available. 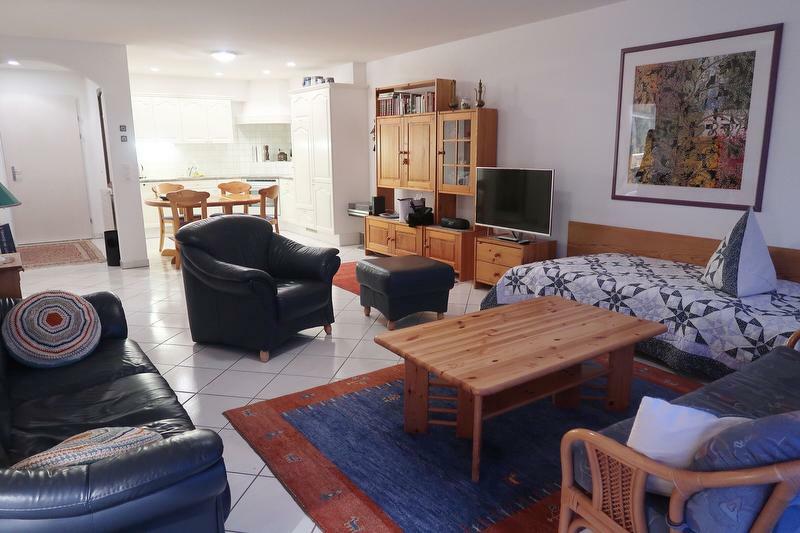 The 2.5-room apartment, accessible by elevator, on the 2nd floor of House Alpina is located on Alpinastrasse in Flumserberg Tannenboden, close to the cable cars (approx. 5 minutes in walking distance). 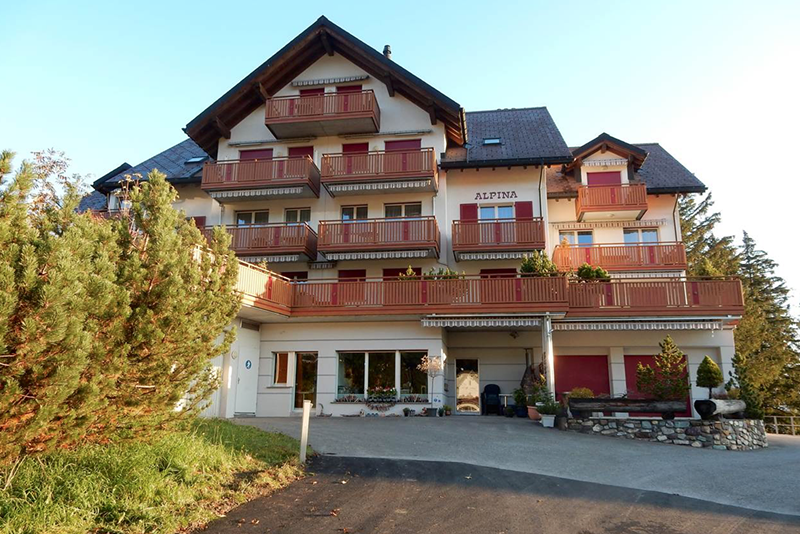 Where once was a guest house and then later a hotel, there's now the multi-family house Alpina, located in a prime vantage point with a view of Sarganserland and the Flumserberg skiing area. 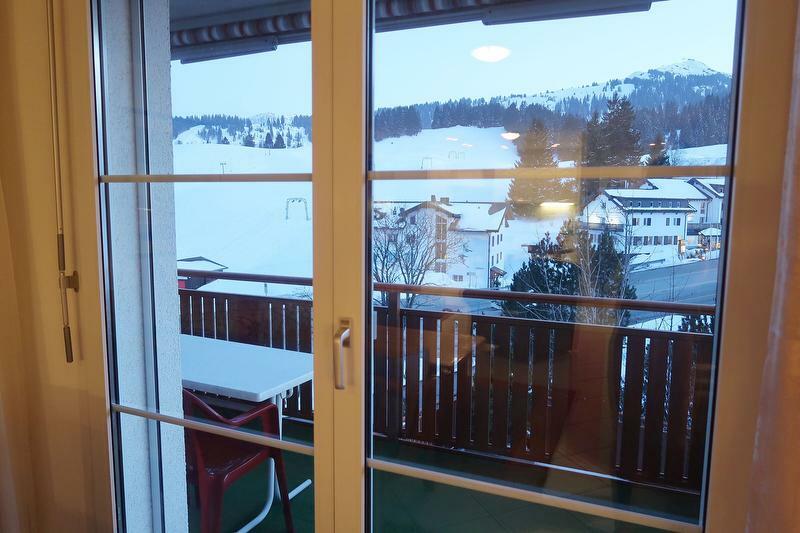 In a few minutes you reach the ski slope and the hiking paradise Flumserberg. During summer parking is free of charge, during winter the car must be parked in the underground parking for CHF 10.00 per day. In the apartment are no pets allowed. 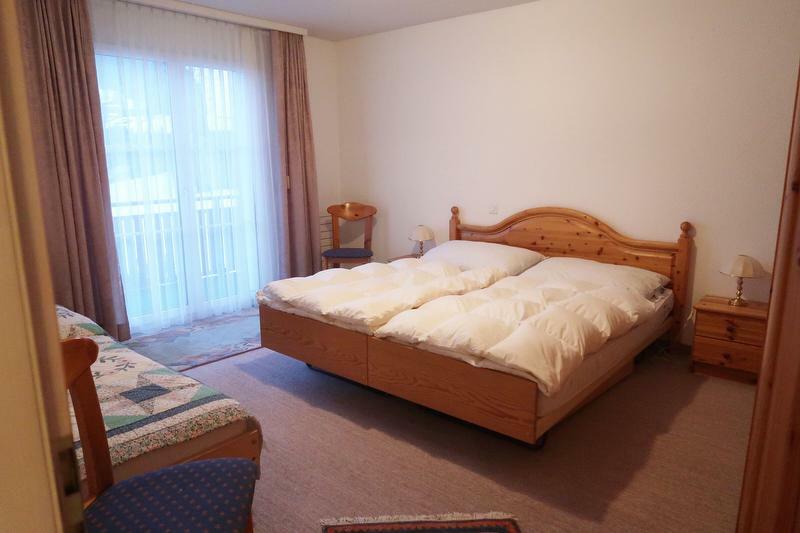 One bedroom with double bed and a single bed with wardrobe. 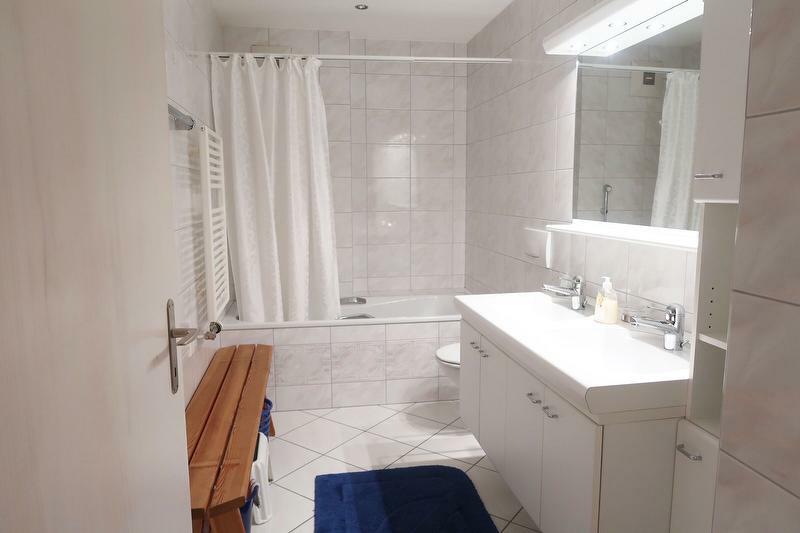 A bathroom with bathtub, toilet, wall radiator and sink with make-up mirror. An open living room with kitchen/dining area. In the living room there's a leather couch, leather armchair, coffee table, flat screen TV. 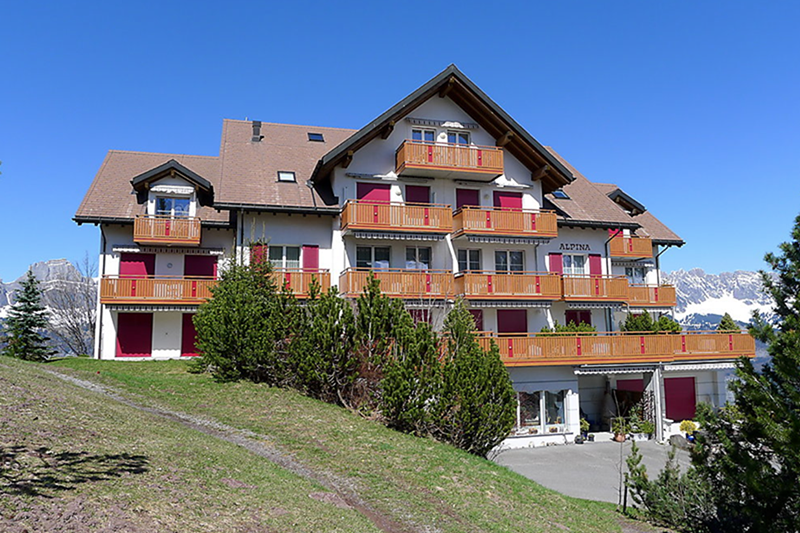 Large balcony with a view on the skiing slope and the Flumserberg hiking area. 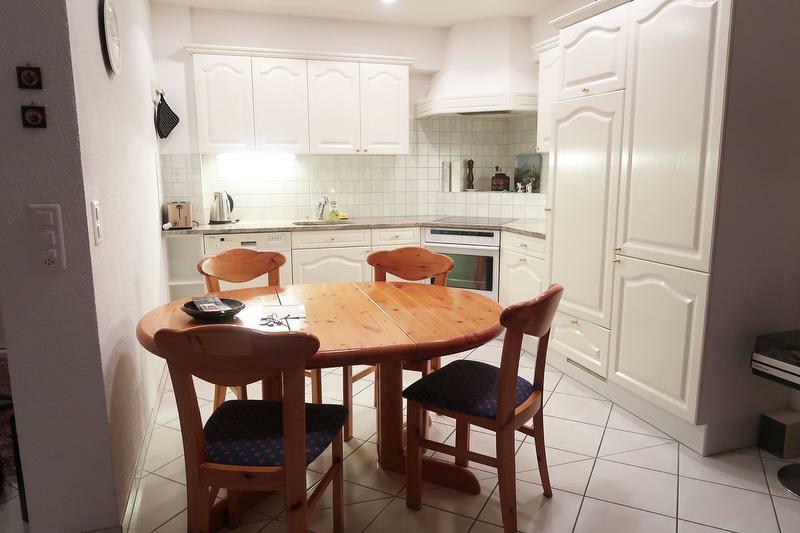 The kitchen is fully equipped and has a stove, dishwasher, oven, fridge and coffee machine. 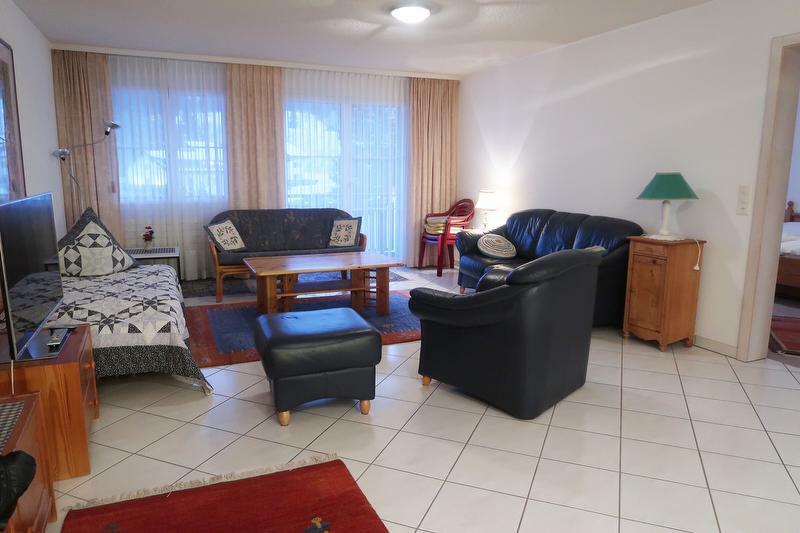 The apartment is furnished in a contemporary style and has a beautiful in white tiled floor. The bedroom is fitted with a carpet. WiFi in the whole apartment (free of charge), a flat screen TV is available. A washing machine is also available.